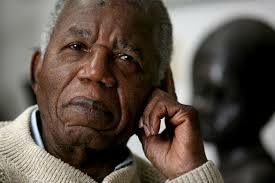 Like many I am terribly saddened to hear about death of Chinua Achebe following a brief illness. One of Africa’s greatest writers, Achebe changed the perception and course of African literature with his first novel Things Fall Apart, published in 1958. Things Fall Apart told the story of Okonkwo, an Igbo warrior and his struggle to adapt to the changes the white men bring to his village. Initially, only 2000 copies were printed as the publishers were not expecting much from this unknown Nigerian novelist but to date it has sold more than 10 million copies around the world and has been published in 50 languages. Every African schoolchild has read this novel. I remember reading a copy for the first time when in Ghana on holiday in 2003 and my nephew disdainfully pointing out that he read that “years ago” in school. I thought how lucky he was to have read such treasures at a young age and wished I could have had that same privilege. I came to reading African literature quite late and had limited experience of it other than the Anansi stories I was told of as a child. Chinua Achebe (and also our Ghanaian mother of literature, Ama Atta Aidoo) changed my reading habits. After reading Things Fall Apart and the sequels No Longer At Ease and Arrow of God, I discover authors who had more than likely been influenced by him, such as Buchi Emecheta, Ben Okri and of course Chimamanda Ngozi Adichie, who is quoted as saying ‘I would not be the writer I am if it wasn’t for Chinua Achebe’. 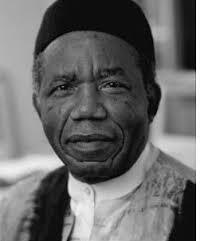 Achebe was also a political activist and a supporter of the Biafran secession from Nigeria, which he describes in his memoir There Was A Country. But after the civil war, that tore apart two nations, he became disillusioned politics, as he found that “the majority of people … were there for their own personal advancement”. He remained a vocal critic, however, of corrupt African leaders and politics, and appeared to never lose hope that some day Africa would once again rise and be free of the corruption that has hindered her progress. Listening to Nadine Gordimer on Radio 4 this morning, she said echoing what Achebe said of his friend the writer Christopher Okigbo: “Don’t let him die”. Though Chinua Achebe is now no longer with us, his writing, his words, his legacy will always remain. “Nobody can teach me who I am. You can describe parts of me, but who I am – and what I need – is something I have to find out myself. Posted on 23 March 2013 by queenpea77Posted in ArticlesTagged African literature, books, fiction, Non-fiction, politics, society.